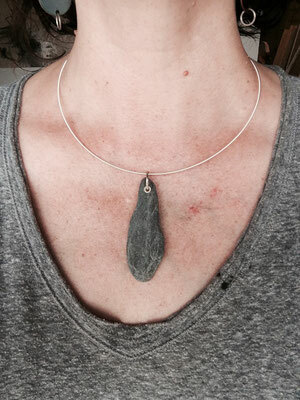 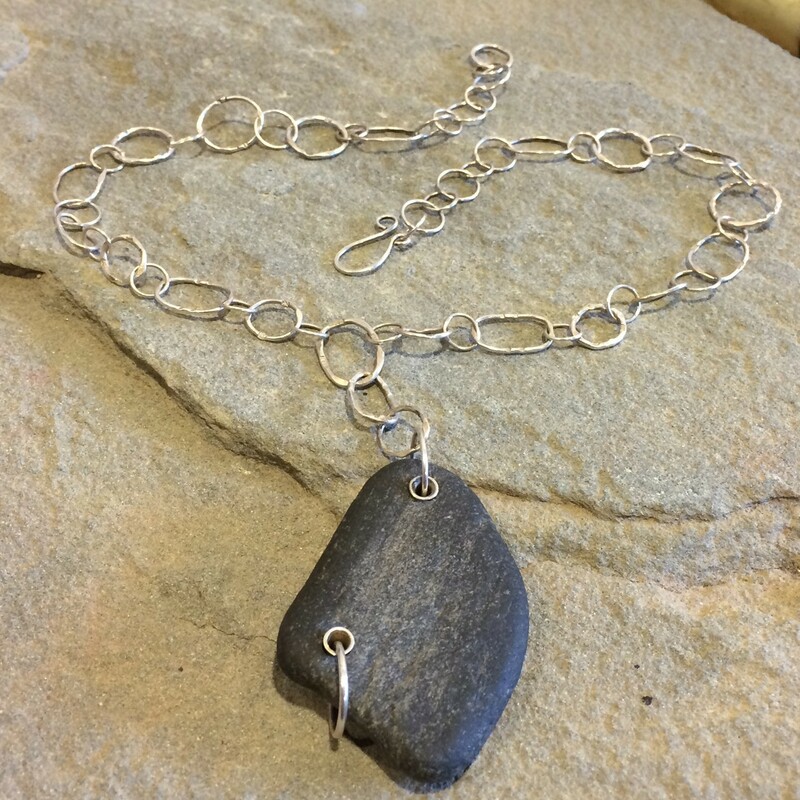 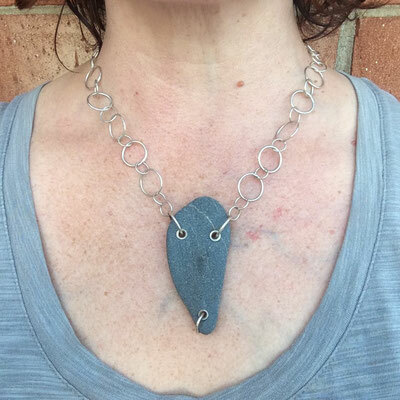 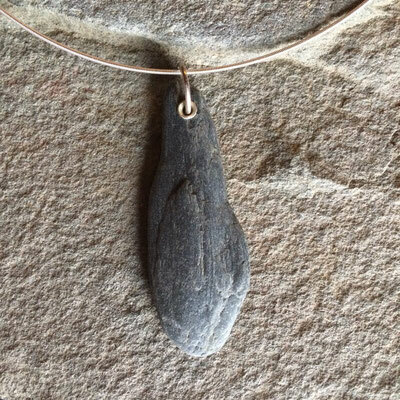 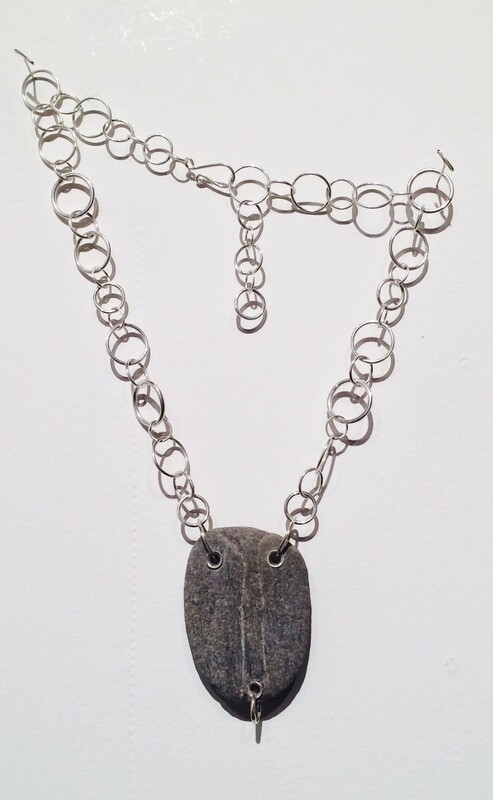 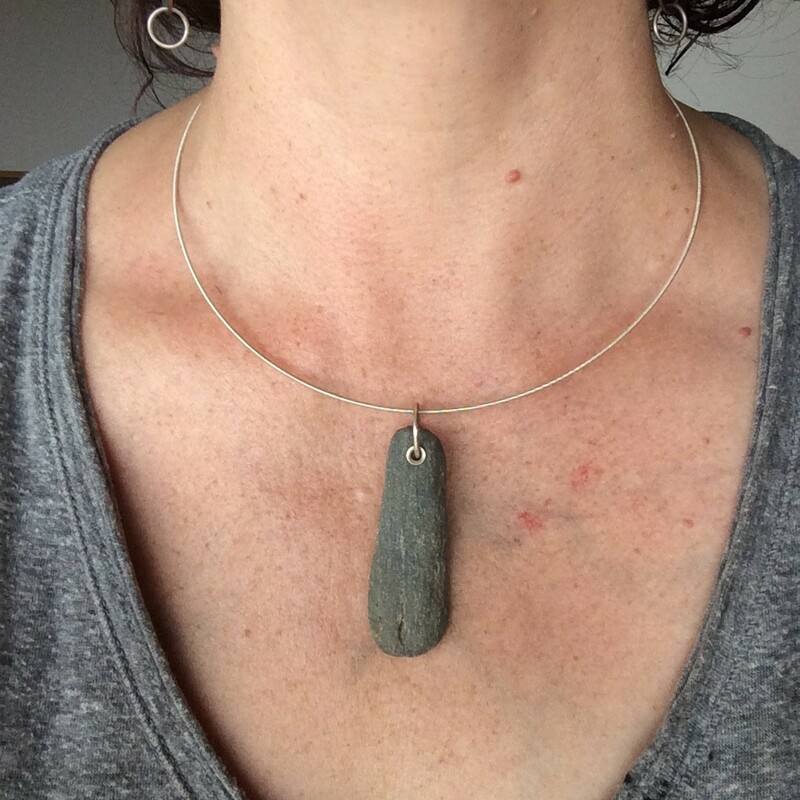 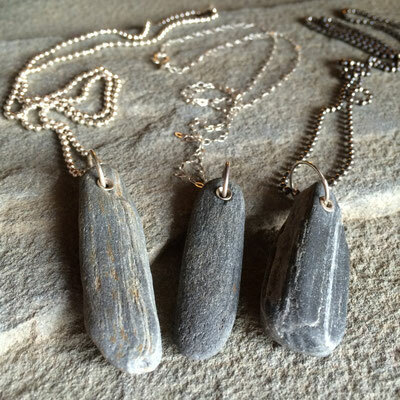 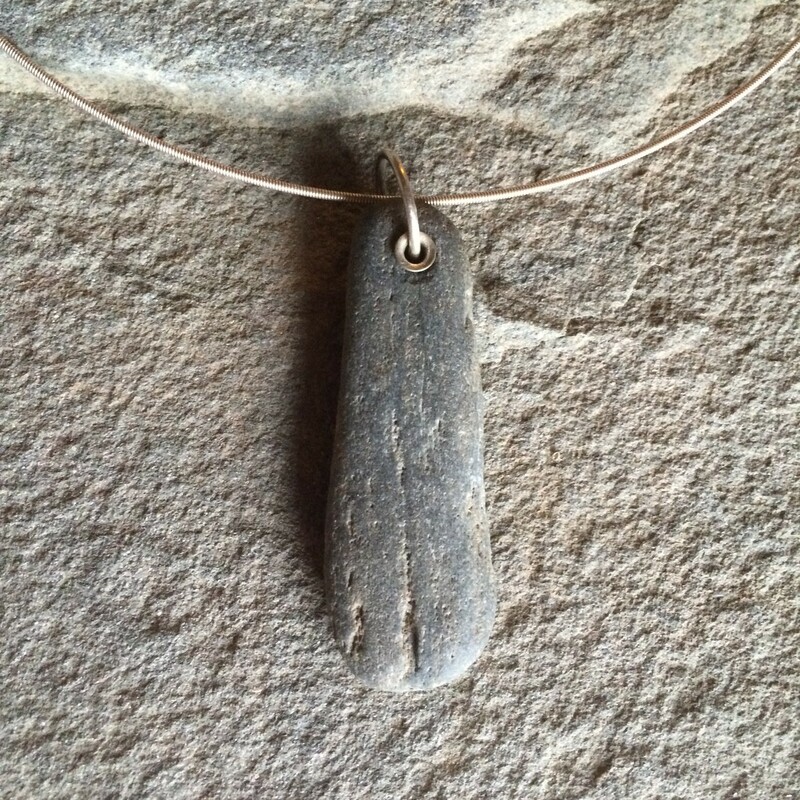 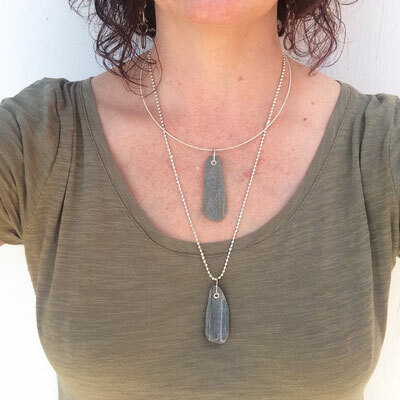 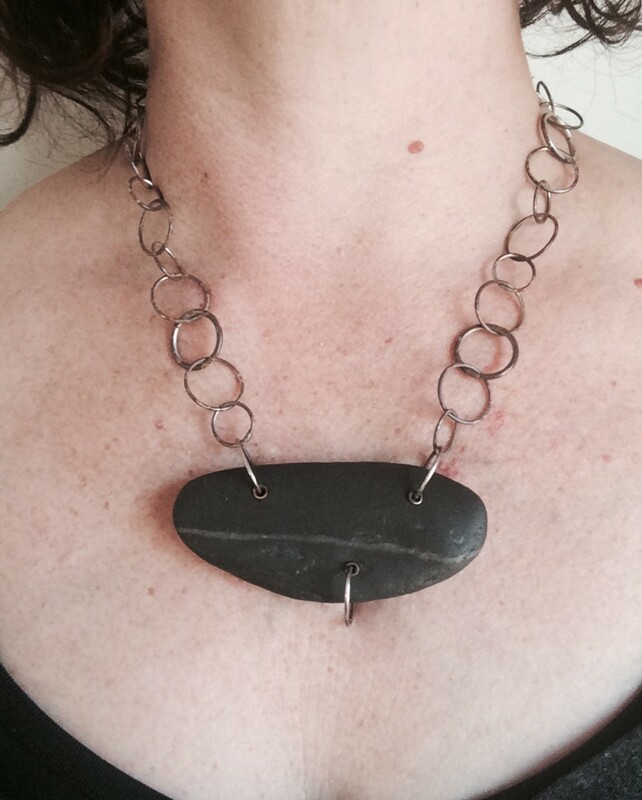 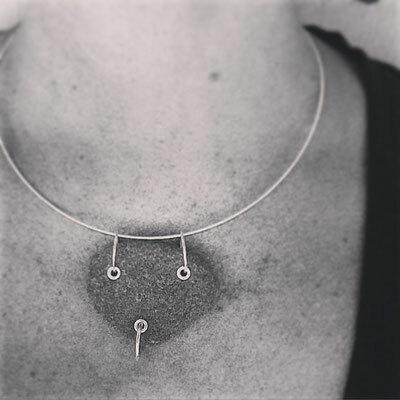 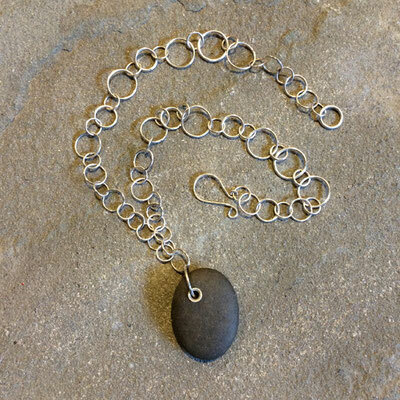 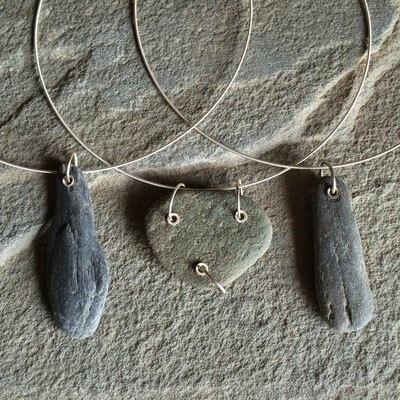 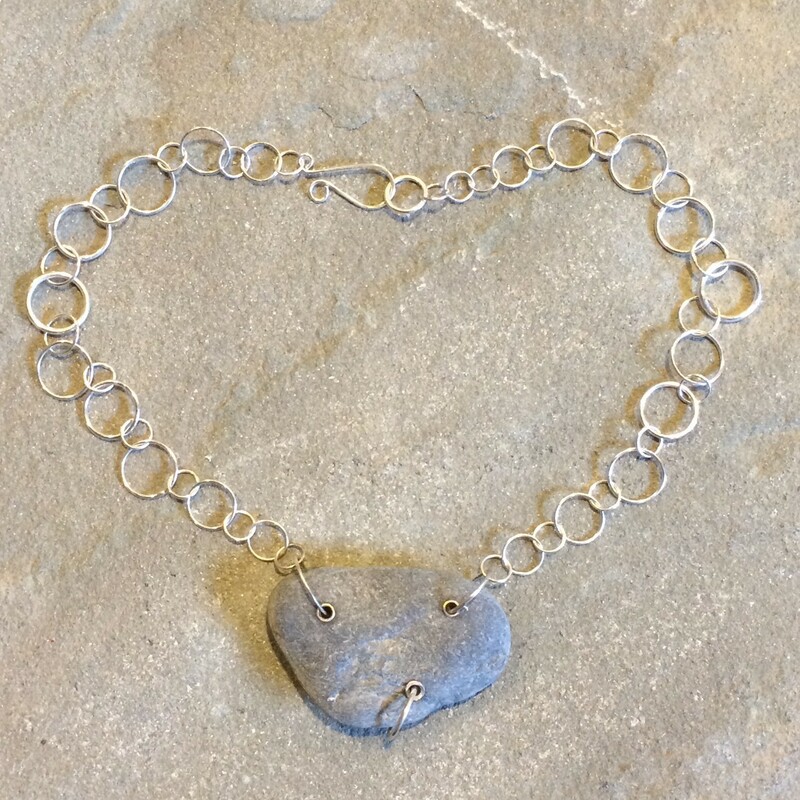 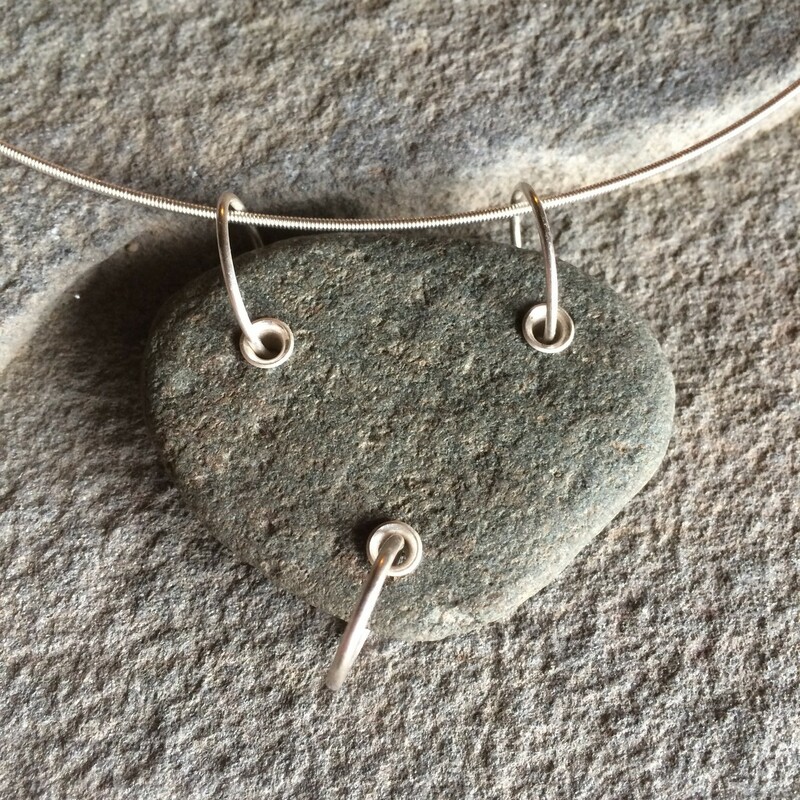 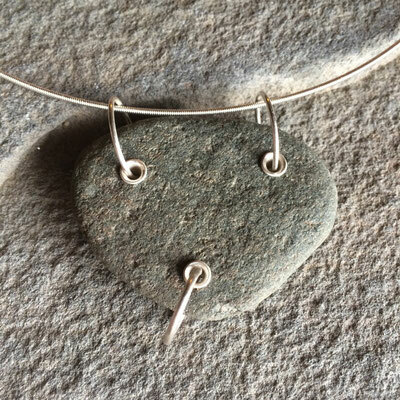 These necklaces are made from beach stones and sterling silver, the sterling "rain chain" is handmade by me; the neck wires and longer chains are also sterling silver, not handmade by me. 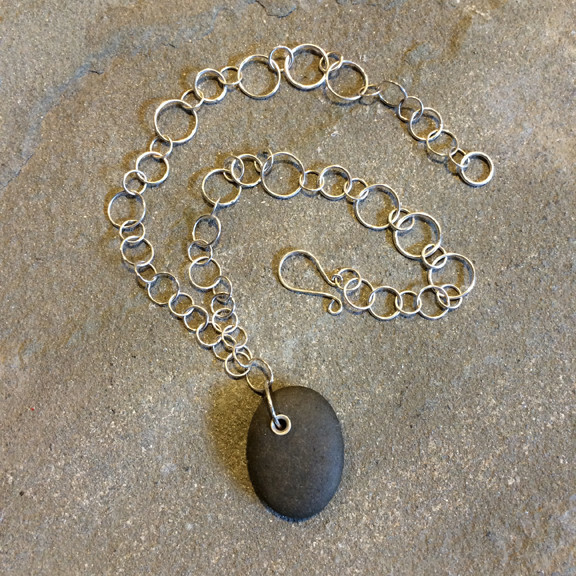 With wear and time, the stones will darken and develop a deep sheen and the silver will oxidize from the proximity to and chemical reaction with your skin. Each is completely unique and is made more so the longer and more frequently it is worn- that's what makes these pieces extra special to my mind- the individual's body chemistry organically alters the piece over time, making it truly their own via an almost passive collaborative process. 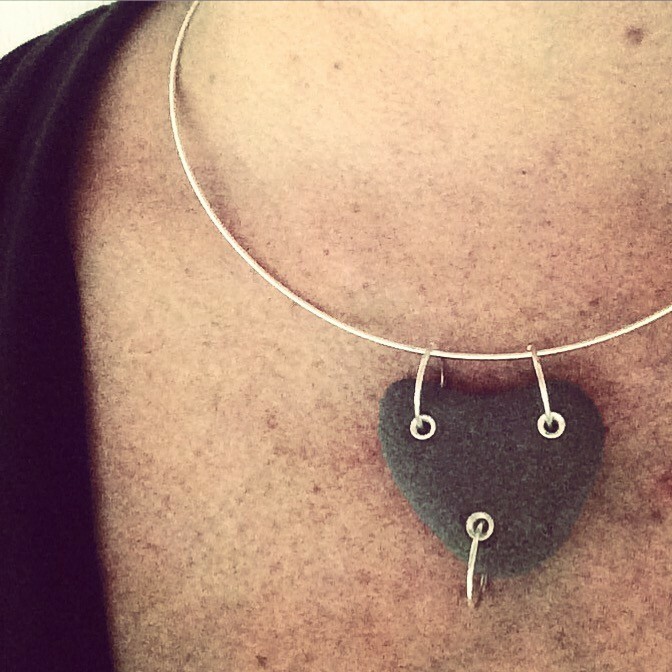 Commissions for these one of a kind works are gladly accepted!